These days, we hear lots of different marketing terms being thrown around. Thanks to the digital revolution, the vast majority of business marketing now takes place online, and it can be a very competitive arena. Most of us are aware of the various platforms on which our businesses are expected to engage with online – Facebook, Twitter, a corporate website – but are you using yours for the best? Good online marketing isn’t just setting up a social media account and waiting for the clients to flood in. You have to make your online presence much more multi-dimensional to attract legitimate customers, and potentially people who will come to use your service time and time again. One of the best ways to do this is by engaging in a phenomenon known as content marketing. Content marketing is a way to get customers to pay attention to your site and what it is you do without aggressively vying for their attention. Most modern consumers can smell a hard sell from a mile off, and it immediately makes them less inclined to approach your business. Remember, the customer likes to feel as though they are in control, and that they are the ones calling the shots. So, what exactly is content marketing, and how can you use it to benefit your business? There are plenty of different types, so it all depends on what you think will work best for you. Here are a few examples you may want to choose from. If you work in a particularly exciting industry, or if you simply have a lot to say, a company blog can be a huge asset to your content marketing strategy. Consumers who have found your site are, by default, interested in what it is you do. Therefore a blog that expands on your company, and what goes on behind the scenes, can give the client a better idea of whether they’d like to work with you or not. Many corporate companies alienate their audiences by appearing too straight-laced, so a friendly blog can be a good way to break the ice with your followers. You will also be pleased to learn that company blogs are part of the blueprint for a successful seo strategy. Search engines naturally favor quality, relevant content, so if this is what you are producing on your blog, you are more likely to show up higher in Google rankings. It’s little secret that the modern consumer is a bit on the lazy side. Thirty years ago the public would have to read through a lengthy brand description before they even thought about parting with their cash. Now, however, we live in a culture of instant gratification – consumers want to know what they are getting immediately, and if it doesn’t interest them, they will move on. One of the best ways to up your content marketing game is to rely on moving image to capture your audience. Think about all the opportunities your audience has to watch a promotional video – when they are getting ready in the mornings, on their lunch break, on the commute to work. Video marketing is multi-sensory, and that is what makes it so effective for many brands. Sit down with your most creative team and think about how you could make video work for your brand. Ever considered how boring the internet would look without images? Big blocks of text on websites and social media alike are big turn offs for most consumers. Consider breaking up your text with various images, and make sure they are right for your brand. Remember, images can be extremely emotive for the customer. If your company is a luxury lifestyle brand, you will want the images you use to reflect that. So, that means no grainy, shaky images featuring entirely the wrong demographic. Think about how your audience will relate to the pictures you use: do you want them to view them in an aspiration manner? Do you want the images to reassure them, or to inspire them? 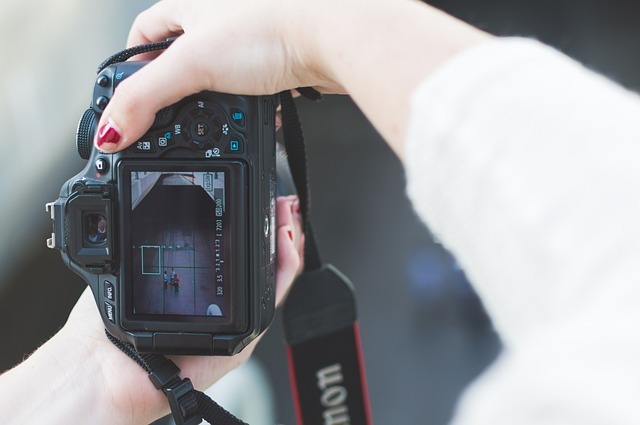 If you have to, you can use websites such as Flickr to find copyright-free images that you can use as part of your content marketing. But if you want to make an impact, it’s best that you source your own photos instead. 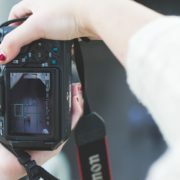 If you or someone else you work with is a dab hand with a camera, you might be able to get away with doing it yourself. But more often than not, you will need to hire a professional photographer. Not only will your online presence look better, your clients will start to engage with you more too.